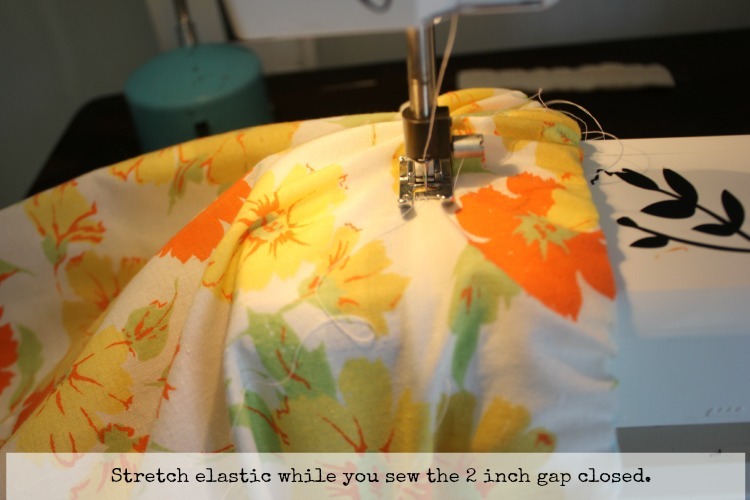 Have you ever sewn for a charity project? If not, you should try it! 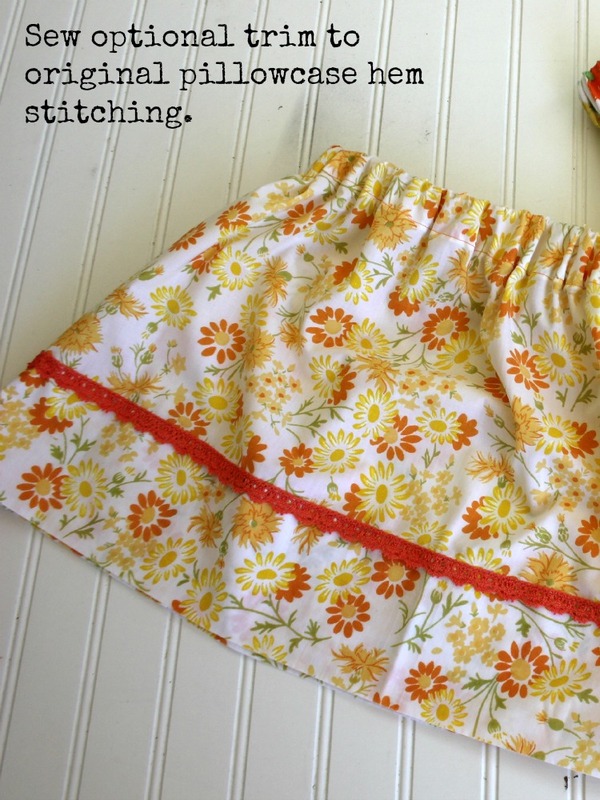 The Skirting The Issue Project created by the ladies at Simple Simon & Co. is a perfect opportunity to join a communal sewing effort to make skirts for foster girls to wear for back to school. 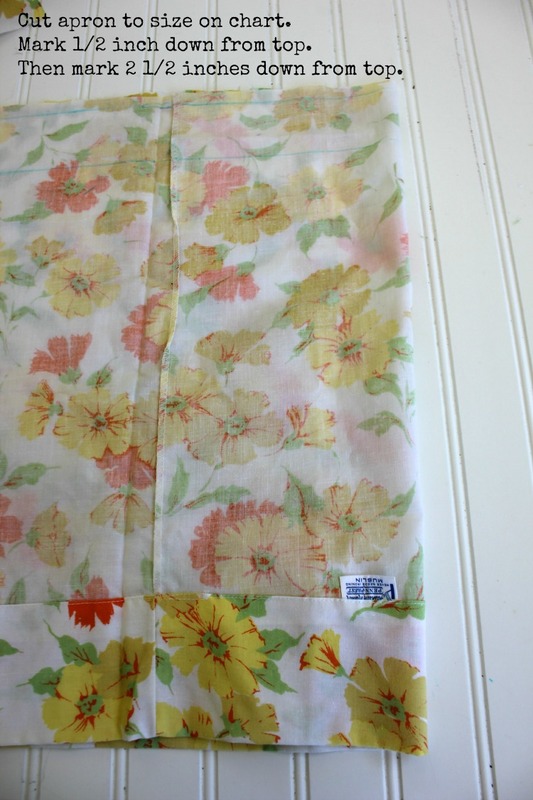 Today I am sharing a very easy pillowcase skirt that only took me thirty minutes to make. it’s a perfect project to make several of. 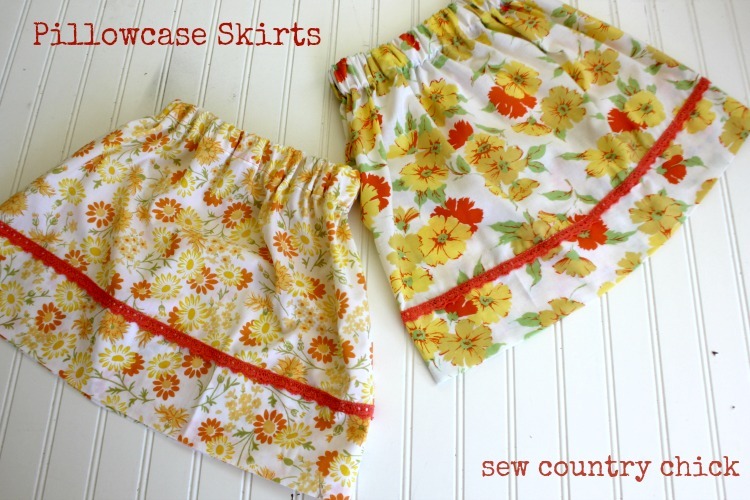 If you would like to join in and sew a skirt to send to a foster girl who needs back to school clothing, here is the post at Simple Simon with all of the details. 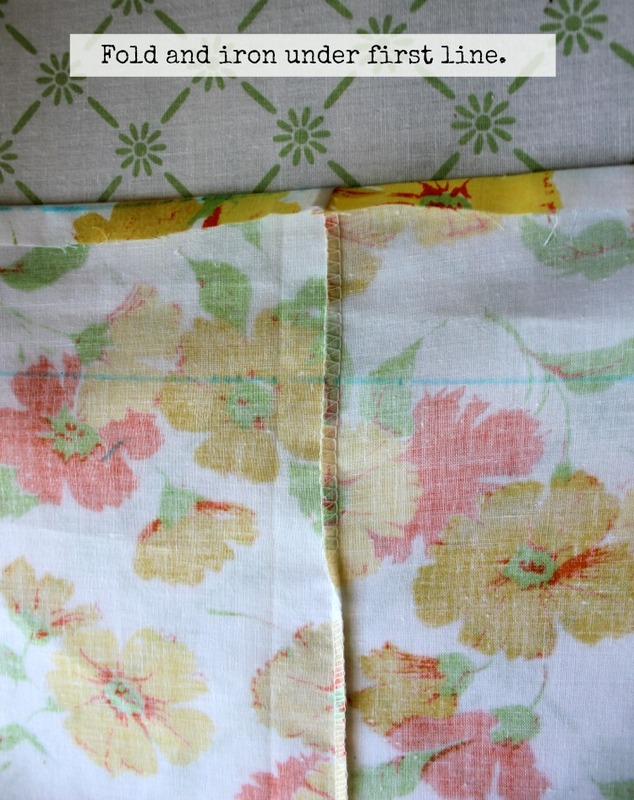 The skirt only has two seams since the hem is already built into the pillowcase. 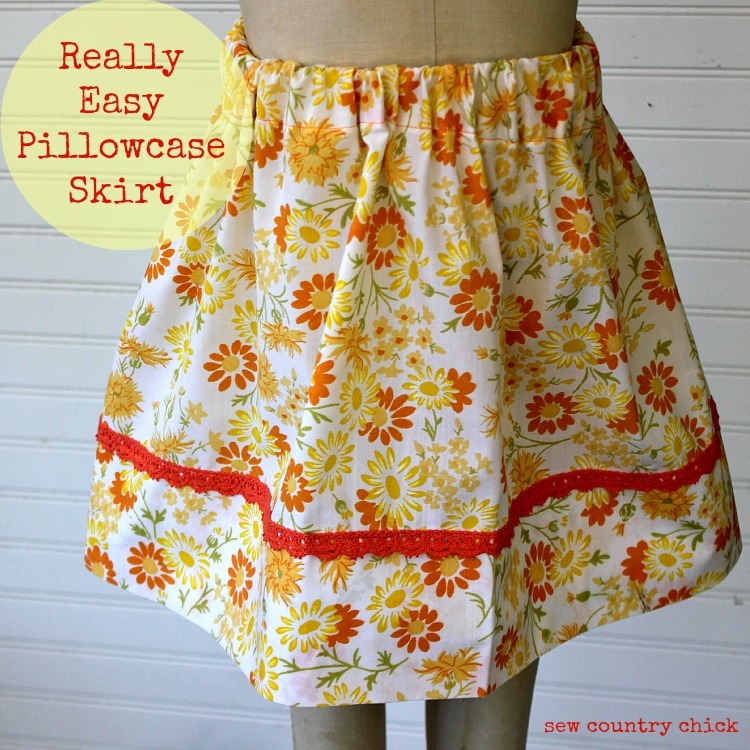 Since the pillowcase isn’t that wide, I would only recommend making the skirt up to a size 6. 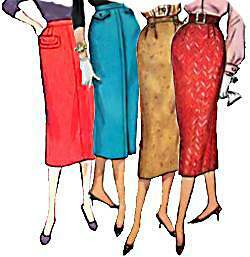 Any larger and the skirt won’t have enough gathers. Also, I only use unused pillowcases. 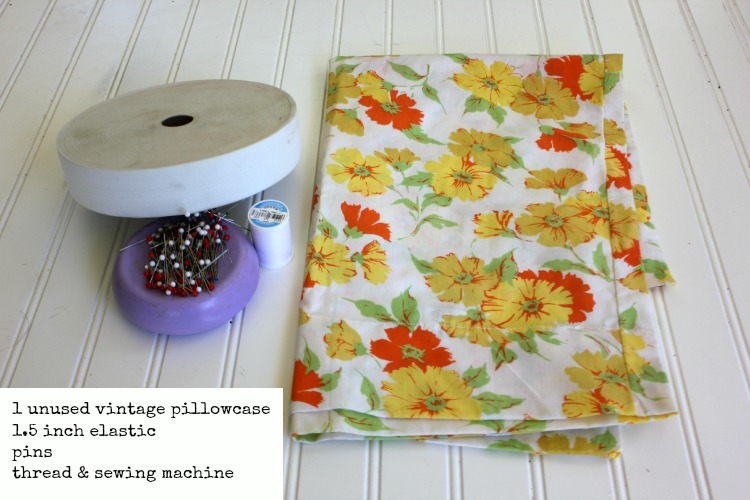 I go to lots of estate sales and often find these unused vinatge pillowcases in fun fabrics. I have quite a few of them! 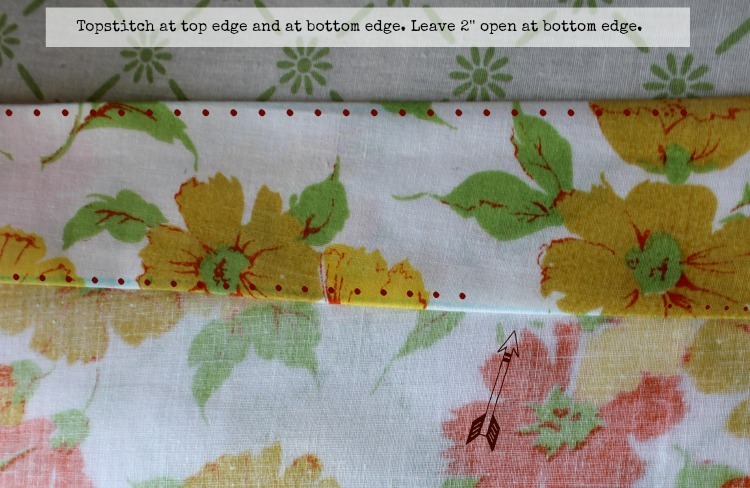 This is probably the simplest tutorial I’ve written, and it;s a great project for beginner sewists. 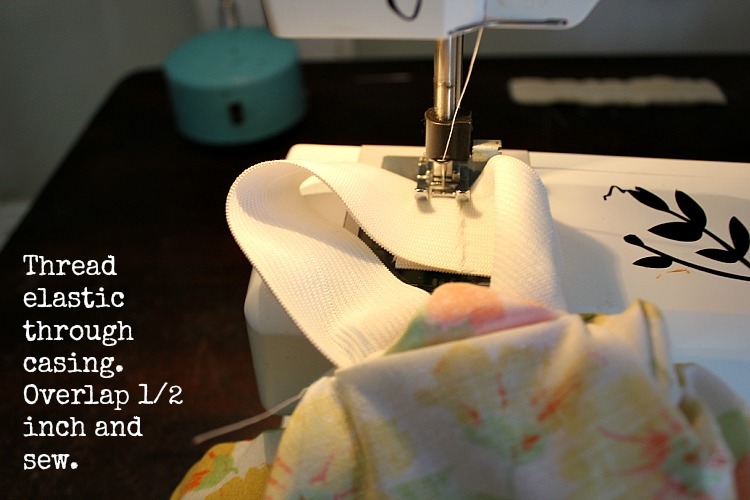 To follow the tutorial for the pillowcase skirt, just read the instructions on the photos below. If you have any other questions, feel free to contact me. Info on sidebar. 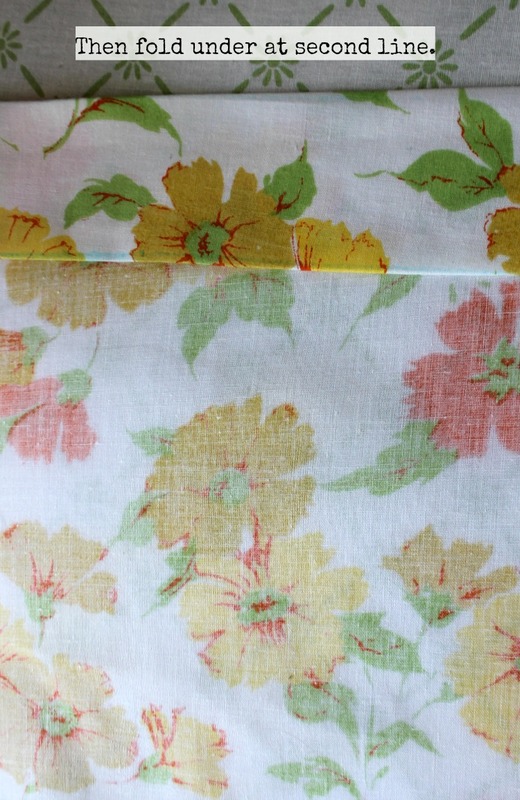 And some optional trim to sew onto the skirt hem when you are done. Well, that’s it! I hope to make a few more of these to send to the Liz & Elizabeth for their project. I’m headed over to a friend’s today; Ana from The Lost Apron, and I’m bringing her supplies to make one, too. Have a great day! Found the post! Wow super easy, would not have thought of this and can’t wait to make some! Thanks for sharing! You are a star! I loved this tutorial, thanks for sharing! It was very simple but thank you! What a great idea for a community project. if we made it long enough it could be pulled up to wear as a dress. 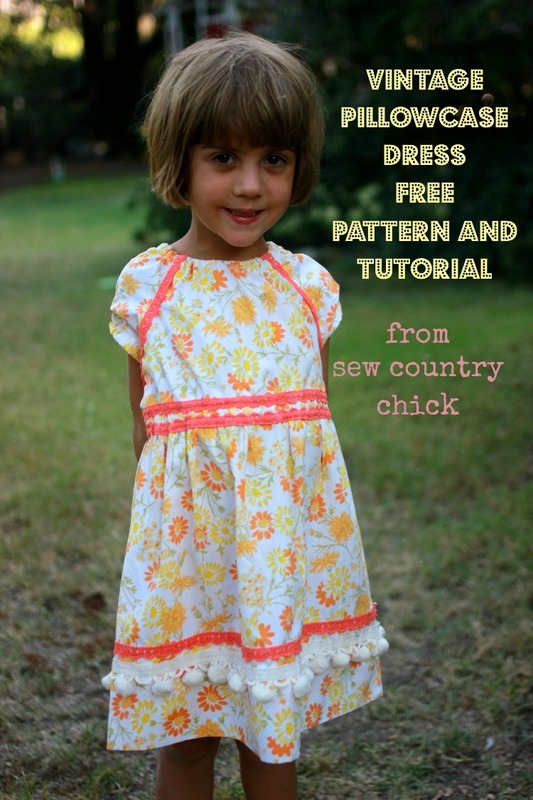 We could add ribbons to make it a sundress. 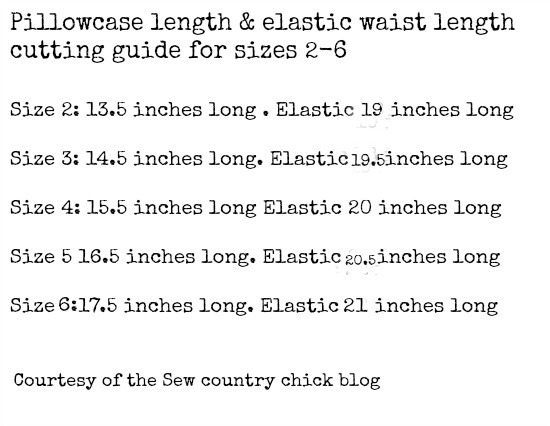 Thanks maybe my local American sewing guild [ASG] will want to do this for a project.